Your Credit isn’t Very Good. Creditors aren’t very trusting when it comes to giving a mortgage to anyone with a low credit score, but there is where FHA loans are different. FHA loans require a 500 credit score minimum vs. the 620 credit score minimum required for a conventional loan. If you’ve been repairing your score and didn’t think you had a shot at a mortgage, a FHA loan is an excellent option. You Need a Co-Signor on your Loan. 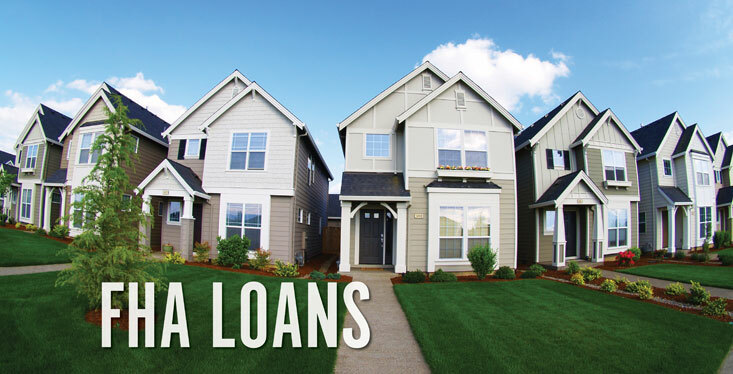 If you’re having trouble qualifying for a home with your home debt-to-income ratio, FHA loans allow you to put a non-resident co-borrower on the loan that can help balance your debt-to-income ratio. You Have Some Major Credit Issues in Your Past. Credit problems such as foreclosure, bankruptcy, etc. can wreck havoc on your ability to get a loan. But with a FHA loan, the good news is that those wait times are basically cut in half. You can get a FHA loan just 3 years after foreclosure and 2 years after bankruptcy. If you’re interested in purchasing a home and think a FHA loan could be right for you, call the Flower Mound real estate agent experts at The Stacey Sauer Team! We can connect you with a solid Flower Mound mortgage broker who can take care of you and walk you through the process from qualifying for a loan to purchasing your dream home. The Stacey Sauer Team is here to help you buy a home in Flower Mound, Highland Village, Lantana, Lewisville, Grapevine, Argyle, Double Oak and the surrounding areas.